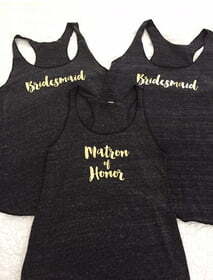 The most important bride attendant might just be the matron of honor. After all, without her, the bride wouldn't exist! She deserves her own very special bachelorette party shirt!